The snowdrops and crocuses have vanished. 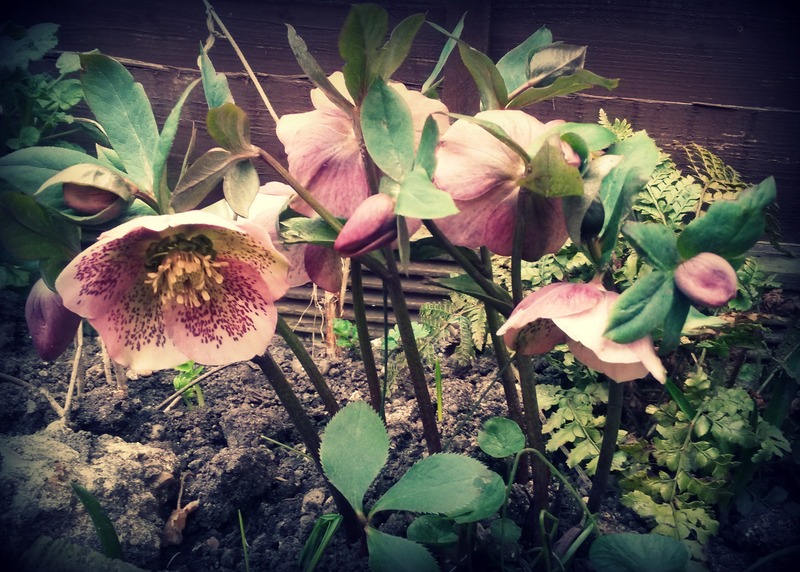 There’s little in the way of spring blooms in our garden just now, aside from those loyal perennials, the hellebores. I love hellebores. They’re not a flower I had known before we moved to this house almost six years ago when we found a little patch of them nestled beneath the rambling rose in our garden. Ade trimmed back the leaves earlier this year when the plants started coming through as they’re quite susceptible to a rather nasty fungus, and they’re looking healthier than ever. They remain in flower for weeks, it’s just a shame they’re so shy! Their pretty, freckled faces permanently hang downwards, you really have to get down at ground level to appreciate them. Anyone else loving the hellebores just now? I love my hellebores. When I planted my first ones over 20 years ago they were almost impossible to find locally. I even imported some from England. Now they’re much more common. They’re nice, early flowers and the bees just go nuts for them..